1. Sri Bhudevi, Sridevi Sametha Sri Siddi Janardha Nalayam. 2. Uma Sametha Kooteswara Swamy. 3. Sri Rajarajeswari Sametha Chaaya Someswara Swamy. 5. Navagraha Sametha Parvathi Mruthyunjayalayam. When Bali Chakravarthi conquered Indraloka, Lord Indra along with Kasyapa Maharishi came to this Kotitheertha ( Kotipalli ) where Lord Vishnu was performing penance (tapasyaa). Kasyapa Maharishi praised Lord Vishnu in many ways.Lord Vishnu was pleased by Kasyapa Maharishi and gave him a boon (Vara) that he will be born as a child to Kasyapa Maharishi and Adithi. Lord Vishnu took birth as Vamanamurthy and he asked Balichakravarthy 3 vara’s. In this process he took entire universe (Visvam) from Balichakravarthy as Daanam and gave it to Devathas. He came back to Kottitheertha ( Kotipalli ) to do penance(tapasyaa). Kasyapa Maharishi praised this Kshetra as a Siddhi Ksetra and installed Sri Sridevi, bhudevi Sametha Janardhana Swamy. All the wishes of the devotees will be fulfilled in this Siddhi Janardha Swamy Kshetra. The history behind this temple is related to Ahalya and Indra saapa Vimochanam. This old legend occurs in the grand epic Ramayana. Ahalya is wife of Gowtama Maharishi. Once Lord Indra fell fond of Ahalya. He played a play and diverted Gowthama Rishi. In the disguise of Gowtama Rishi he led Ahalya in his embrace (aaliGgana). When Gowthama Rishi came back, then Ahalya realised that she was cheated by someone in the disguise of Gowtama Rishi. By seeing Gowtama Rishi, Lord Indra changed into cat and was trying to go away through window, Rishi saw him. Gowtama Mahrishi got angry and cursed Lord Indra and Ahalya. Ahalya asked him to forgive her as she did not do it wantingly and she was cheated. Gowtama Mahrishi was then pleased and said she will get saapa vimochana when Lord Srirama’s feet touches her. As we all know Ahalya immediately turned into rock and she got saapavimachana when Lord Rama came here on his way to Midhila. Lord Indra was cursed with a life of disease. Lord Indra also felt bad and asked to forgive him. Gowtama Maharishi told him to go to Kotitheertha, take bath in Gowtama River and perform poojas to Sri Bhudevi, Sridevi Sametha Sri Siddhi Janardhana Swamy. Lord Indra installed SivaLinga on the name of Kooteeswara and performed penance (tapasyaa) there to get saapa vimachana. Lord Indra did so and got rid of the curse. Those who visit Kooteeswara Swamy will get the fruits of visiting 1 crore Rudras (Lord Siva) at a time. So this Kshetra is called as Kotirudra. It is called as Indra Theertha. 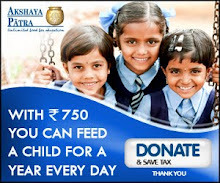 It is believed that any pooja or any charity made here will be multiplied by 1 crore. Miracle in this Kshetra is water will be present near this Kooteswara Linga through out the year. Lord Chandra was fond of Tara, wife of his guru. Due to his mistake he got tuberculosis and lost his original grace (chaaya) in his face, then he realised his mistake and did penanace (tapasyaa) for Lord Vishnu. Lord Vishnu was pleased and told him to go to Kotitheertha, take a bath in Gowtama River and perform poojas to him and Kooteeswara Swamy in Kotitheertha and install Sri Parvathi Sahitha Someswara Swamy (Siva Linga) on the name of Lord Chandra. Chandra did so and got rid of his curse and got his Chaaya back. So this Siva Lingam is called as Chaaya Someswara Linga. ChaayaSomeswara Swamy SivaLingam is very small, you would rarely see such small SivaLingam. 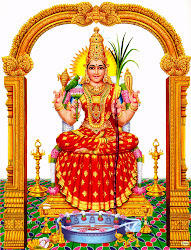 Rajarajeswari Devi is also present in this temple.Kumkuma pooja is performed here. There is separate shrine for KalaBhairavaSwamy in this temple. Due to the presence of Kooteswara Swamy, poojas performed to Navagrahas and Kalabhairava Swamy in this shrine will be more effective. Anjaneya Swamy is also present in this temple. In this Kshetra devotees perform Laksha Bilvarchana to Someswara Swamy, Kumkum poojas to Rajarajeswari Devi and Tulasi pooja to Sri Bhudevi, Sridevi Sametha Sri Siddhi Janardhana Swamy. Ekadasa Rudrabishekam is also performed. Somagundam is present in this temple. Taking bath in it is believed auspicious. Muramalla temple (Badrakali Sametha Veereswara Swamy) is 38 km from here. I will Publish the details of Muramalla in my coming posts. We don't have the temple administration phone number.We tried for it but could not get it. Amazing post on Someswara temple and various other temples , near Bhimavaram. Its an amazing experience to be in Bhimavaram. It one of the major pilgrimage centers and there are many places to visit in Bhimavaram, major attraction being Somarama Temple.